Whether you live between Avenue H through Avenue T, or between Nostrand and Ralph, if you reside in the Flatlands area of Brooklyn and are looking for a way to modernize your home, consider updating your exterior siding with James Hardie products available from Good Guys Contracting. Good Guys Contracting is a preferred James Hardie installer on Long Island and their service area is rapidly expanding into Kings County! 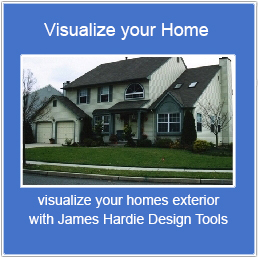 In fact, they have installed more James Hardie than any other company in the area. Even though there is no subway line directly to Flatlands it continues to be a popular area of residence. When the homeowner, apartment owners, landlords and property owners are looking to get a small return on investment, a quick and easy way is to update the exterior siding. James Hardie products are built to withstand fluctuations in climate. Their ColorPlus Technology is designed to withstand UV rays and other harsh weather conditions such as hurricanes and blizzards. It’s also fire resistant and impervious to bugs, which is very beneficial to those living in Brooklyn! Give Good Guys Contracting a call and we will meet you at your place of residence in Flatlands, Brooklyn! We will sit down with you and show you the best products on the market to complete your project. We will then give you a FREE estimate to get you started on your home remodeling project!